If you guys don’t know, I’ve also reviewed the Zenith Nutrition’s Protein Pure Soy and their Magnesium Citrate Powder. So make sure to check these out as well. In this fast pace life, it’s hard to complete daily nutrients if you don’t pay heed to what goes into your meals. Also as the body starts to age, you do require additional support via supplements to elongate happy health. This year, my father turned 60. Although he never had any joints issue but recently when he was going downstairs, he realized he couldn’t keep pace like usual days. He was to catch his office bus but ultimately he had to call the driver to stop and wait for him to reach the stop. If you are curious about effects of this supplement and at what prices you can obtain it, then stay tuned and continue reading. Zenith Nutrition’s complete line of nutritional products includes vitamins, minerals, probiotics, standardized herbal concentrates and amino acids. 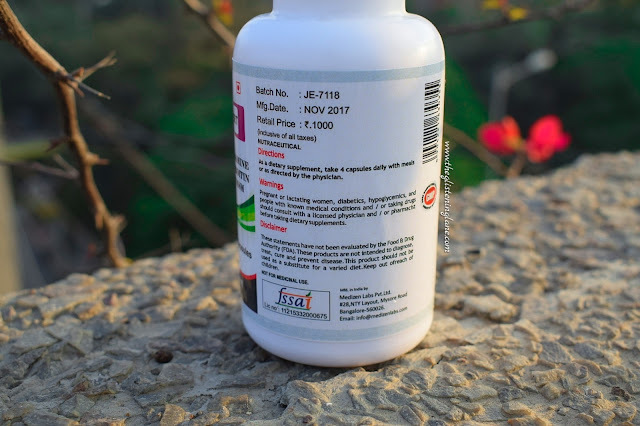 The company utilizes its industry leading capabilities to produce superior research based formulations that optimize the nutritional value and performance for its customers. At Zenith, the focus has always been on safety, and relying on proof of product effectiveness. While many of our products have been researched, it is vitally important for us to strike a balance between traditional medicine and modern science; making us a unique dietary supplement company that can offer traditional herbal supplements, as well as those backed by science. 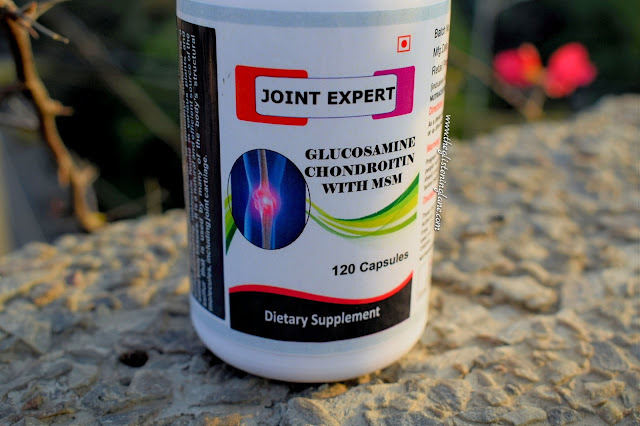 The body uses Glucosamine sulphate, a natural compound, to stimulate cells to create one of the main building blocks of joint cartilage –proteoglycans. Chondroitin sulphate attracts and holds large amounts of water to the cartilage –building proteoglycan molecules. Since cartilage has no blood supply, this fluid is necessary to nourish and lubricate joints. MSM (methylsulfonylmethane, or dimethyl sulfone) is a sulphur-containing molecule found in various plants and some body tissues. It is a natural and efficient source of the sulphur that is used by many of the body’s structural molecules, including joint cartilage. 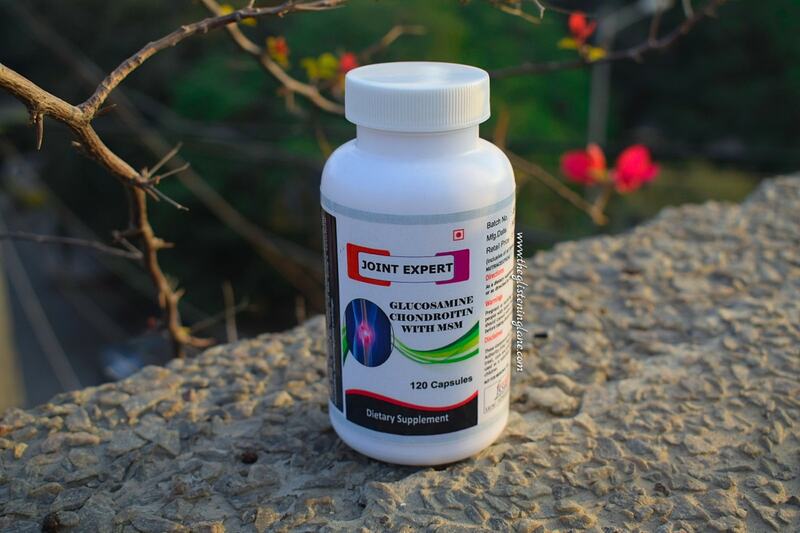 As a dietary supplement, take 4 capsules daily with meals or as directed by the physician. Pregnant or lactating women, diabetics, hypoglyemics and people with known medical conditions and/or taking drugs, should consult with a licensed physician and/or pharmacist to taking dietary supplements. These products are not intended to diagnose, treat, cure or prevent any disease. This product should not be used as a substitute for a varied diet. Keep out if reach of children. 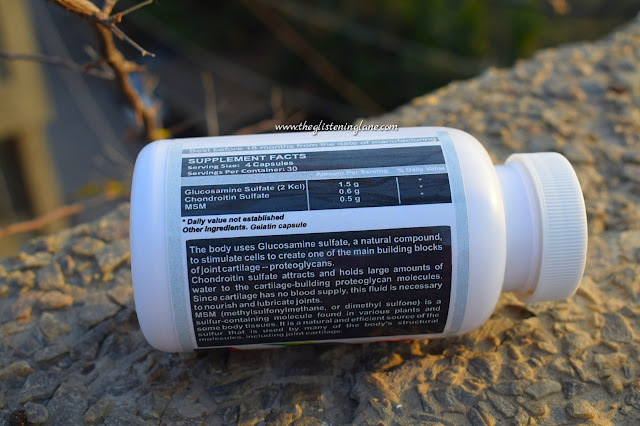 These supplements come in white opaque plastic bottle with a lid which opens with rotational movement. They are compact in size and you can travel with these easily. 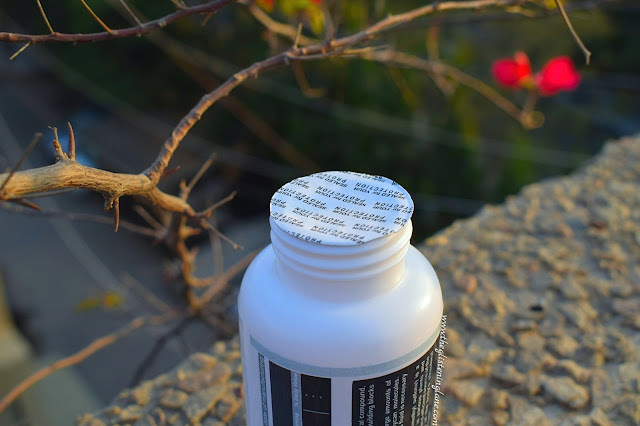 But because the packaging is opaque, you can hardly see how much of the supplements are left but it also helps to keep them away from from direct sunlight. The capsules inside are cream in colour. The fragrance of these capsules is very subtle which won’t be bothersome at all. Before beginning to incorporate these within your diet, please take an advice from your physician or doctor. Also, unlike other Zenith Nutrition’s supplements, these aren’t meant for vegetarians and it has red mark onto it. These capsules are to be taken four times each day. You can begin with four capsules each day or start with one and then increase the intake. These can be taken after your meals. Apparently there are no side effects that are incurred, as told by my father; at least that was the case when my father took these. One thing to remember, these are not meant for treating any problems. 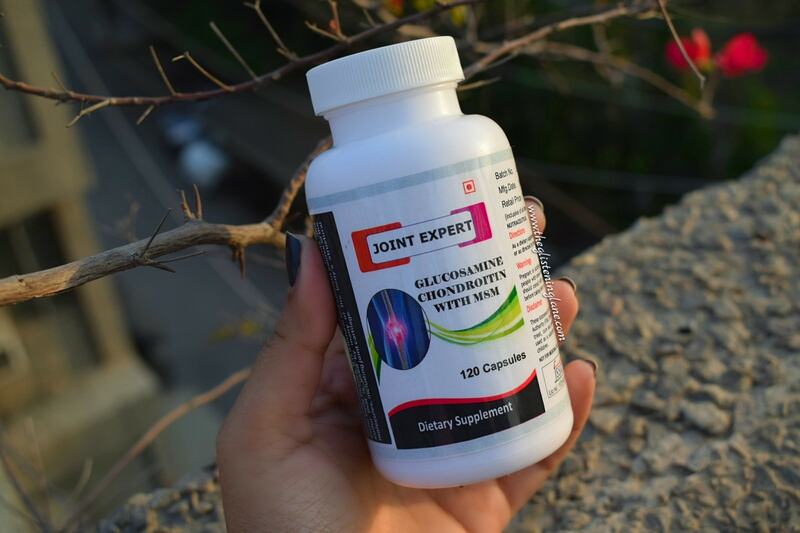 These supplements do not work as cure, so in case of problems, always ask the doctors for advice and consultation. Supplements are only to be taken for prevention purposes. My father did notice reduction of his joint paint but then it’s not exactly the joint pain that old people suffer from.